Company History - Entertainment Solutions, Inc.
Entertainment Solutions, Inc. is a full service, relationship-based Event Marketing Company, specializing in Special Event Management, Live Entertainment Production, Lifestyle Events, Municipal Community Events, Event Marketing & Branding and Event Consulting. The principals of Entertainment Solutions, Inc., Ken and Kevin Koziol, have been producing live entertainment programs and special events throughout the country since 1992. Established initially as Image Entertainment Productions, Inc., the company focused on entertainment bookings and production coordination for events such as the Tempe Fiesta Bowl Block Party, Fabulous Phoenix 4th of July and Tempe Spring & Fall Festival of the Arts. Image Entertainment continued to prosper through the 90’s as the premiere Event Production Company in the State of Arizona. Producing more than 100 events annually, Image Entertainment’s highlights included Stage & Entertainment Production for the Fiesta Bowl New Year’s Block Party, Sound Reinforcement at Sun Devil Stadium for the filming of Jerry Maguire, production of the Fabulous Phoenix 4th of July Celebration, and creative development of MicroAge Computers’ annual sales convention. In 1998, Image Entertainment was acquired TBA Entertainment Corporation (NYSE:TBAE), based in Nashville, TN. As part of the acquisition, TBA retained Ken and Kevin to manage the company’s Phoenix operation, TBA-Phoenix. From 1998 through 2000, the Koziol’s further established a stronghold in the corporate meeting industry, assisting Pinacor in the launch of their company and producing the American Express 150th Anniversary Celebration at America West Arena / US Airways Center in Phoenix, AZ. Upon conclusion of contractual obligations to TBA Entertainment in 2000, Ken and Kevin established Entertainment Solutions of Arizona, Inc. Entertainment Solutions was able to retain many of its’ client relationships including The Fiesta Bowl, Phillips 66, Phoenix New Times, KNIX Radio and Belo 3TV, to name a few. In addition, Entertainment Solutions, Inc. continued to develop it’s client base. In 2001, Entertainent Solutions, Inc. was selected by The Arizona Diamondbacks to produce a series of street festivals in conjunction with the 2001 MLB World Series as well as coordination of the Arizona Diamondbacks Victory Celebration Parade in Downtown Phoenix; the biggest parade in the history of the State of Arizona. With the continued growth in the Valley of the Sun, Entertainment Solutions, Inc. further expanded it’s clientele and was consistently selected to produce several high-profile events including the grand opening of the initial 18 mile Metro Light Rail Line in 2008 as well as the Arizona Office of Tourism and State of Arizona’s Official Centennial Celebrations in 2012, celebrating 100 years of Statehood with 2 major street festivals in Prescott and Phoenix. Entertainment Solutions, Inc. also expanded on a national level in the early 2000’s as the Live Entertainment Producer for the Rock n Roll Marathon Series. ESI currently produces more than 300 live regional bands and National acts in 16 cities across the USA for the series. Entertainment Solutions, Inc. continues to expand its Event Marketing Services in Special Event Management, Live Entertainment Production, Lifestyle Events, Municipal Community Events, Event Marketing & Branding and Event Consulting. Entertainment Solutions has been ranked one Arizona’s top 10 Meeting & Event Planners since 2003 by the Arizona Business Journal and has also been recognized with many Industry Awards. 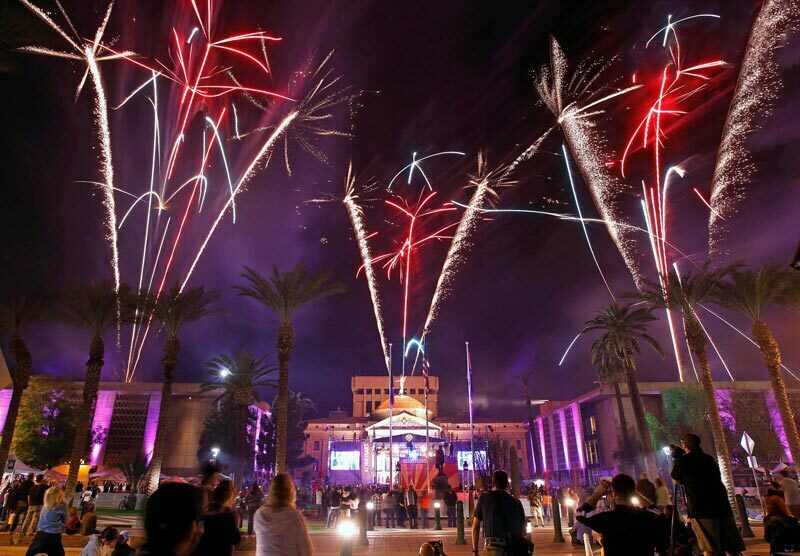 Including “Outstanding Service Provider of the Year” by the Arizona Festivals & Events Association (AFEA).